Western Hemlock Tree (Tsuga heterophylla) – Works through the etheric physical, emotional and mental layers of the personal energy fields to soothe irritations, intrusions, and disturbances to these energy fields. Reawakens the clear energy blueprint for these fields and facilitates related healing at the cellular level. I AM clear personal energy fields and healthy cells. Western Hemlock is an evergreen tree, often over 150 feet, that grows in fairly dry to wet woods at low to middle elevations. It is distinguished by gracefully down sweeping branches with a drooping top leader, needles that are short flat and of uneven length, and small light brown cones. Hemlock was used for tanning and to make dyes. It was carved into implements such as spoons, bowls, dip-net poles, combs, and fishhooks. Branches were tied and put into the ocean by river estuaries to collect herring spawn that was prepared for food. Some coastal tribes also used the cambium layer of the bark for food. 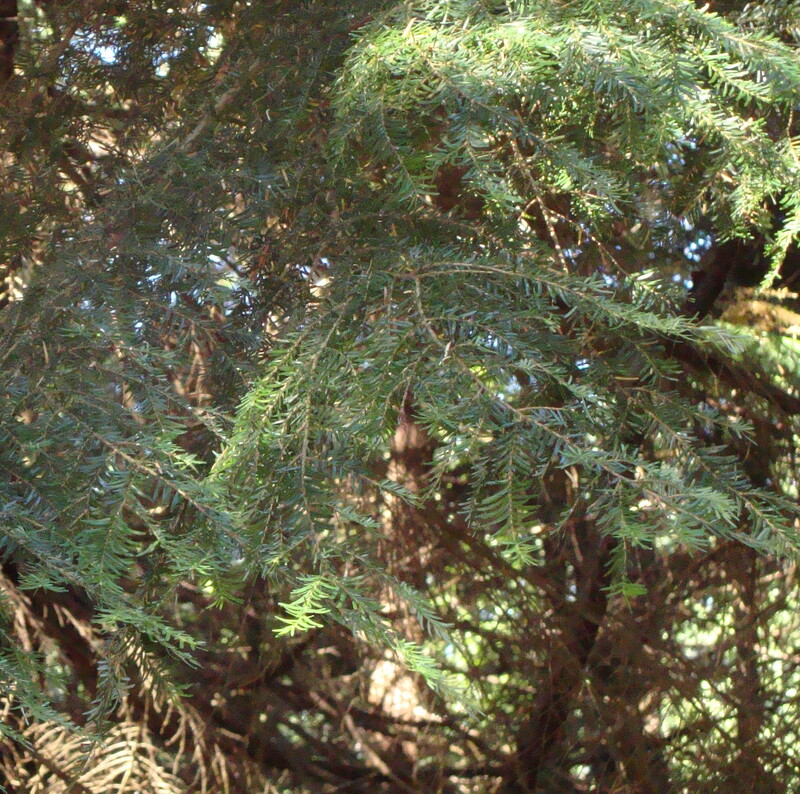 Medicinally, western hemlock pitch was used in poultices, liniments for chest colds and salves. Tea was made of western hemlock, cascara and red alder tree bark for internal injuries. Use Western Hemlock Tree Essence when irritations, intrusions, or disturbances in your energy fields are disrupting your health and wellbeing. This can include genetic patterns of disease or addictions, imprints of previous illness or trauma, energies that do not belong to you that have become stuck in your energy fields, and other disturbances. The Western Hemlock Tree Essence is the signature personal energy field essence. It clears the fields, reestablishes a clear energy field blueprint, and facilitates related healing at the cellular level. The Western Hemlock Tree Essence was made deep in the woods where 3 huge hemlock trees stand in a row. The 3 trees represent the 3 personal energy fields – etheric physical, emotional and mental. One mother (storage) bottle was placed by each of the trees. While the essence was being made a matrix of amber, botryoidal dendritic agate, green tourmaline, jeffrey quartz, rutilated quartz, turquoise and drusy quartz crystals were placed among the trees with the mother bottles. The sun acts as a transformer to step down spiritual energies from higher dimensions. While the essence was being made, Amber acted as a lens to receive and focus sunlight for this purpose. Botryoidal dendritic agate purifies the energy fields; orients you to your Divine energy blueprint and to areas in your fields where that blueprint has been weakened. Green Tourmaline helps you to overcome fear of change, enlivens your energy fields and stimulates healthy cellular reproduction. It holds the essence of the plant kingdom and assists with transferring the vibrational frequency of minerals to the vibrational frequency of plants. Jeffrey Quartz provides strong amplification properties and long distance healing abilities. Rutilated Quartz works at the etheric blueprint level of consciousness to heal blockages, tears or obstructions, and grounds Light energy at the cellular level. Turquoise teaches that all of life’s experiences are equally valuable and can lead to compassion, forgiveness and wisdom. It encourages communication of wholeness and truth. Drusy quartz crystals help to energize and stabilize your subtle bodies. The actions of the crystals inform the way this flower essence seats into the body/mind.